You have created a website with Goldfish? Publish it now on the Internet. The easiest way is via the Fishbeam Cloud. The Fishbeam Cloud makes your website available online so it can be reached anytime, anywhere. In addition, the Fishbeam Cloud works perfectly with Goldfish. This reduces the effort with the setup to a minimum. Join now and your website will be online in minutes. Create e-mail addresses for your domains, such as "info@my-domain.com" and forward the e-mails to your existing e-mail account. All domains are automatically secured with SSL certificates and encrypted "https: //" without you having to do anything about it. This improves security and increases Google's ranking. Design error pages displayed to the user for example when a page was not found because of an outdated link. Publish your Goldfish website more easily and directly than through an FTP server. 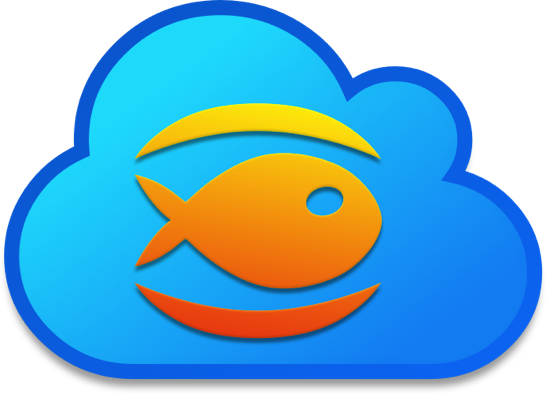 In addition, the Fishbeam Cloud is pre-configured perfectly for Goldfish websites. You can also log into the Fishbeam Cloud via FTP or FTPS (secured) and manage your website. You have always the latest PHP version installed for interactive web application for example such as contact forms. For professionals: Full access to the server configuration via ".htaccess" files. It does not matter how many hits are made on your websites. Manage your websites easily and omfortably through the Fishbeam Cloud user account. Like for Goldfish, you get personal support from Fishbeam Software for the Fishbeam Cloud. Pay your Fishbeam Cloud subscription on a quarterly, half-yearly or yearly basis as you wish. With us you receive strong European data protection. Get your Fishbeam Cloud login immediately after joining. After that, there are only a few minutes left until your Goldfish website is online (depending on how long the upload takes). * For unusually large websites in the size range of several GB, we reserve the right to reject them. ** For annual billing. If you choose quarterly or monthly billing, the monthly fee increases. Billing and payment is done by Digistore24. After registration you can cancel the contract within 14 days. Your existing web host is too complicated, does not work so well with Goldfish websites or offers SSL encryption only for high fees? Switch to the Fishbeam Cloud now. We help you with the move. For more information, see instructions for a provider change.